Tech companies claim the top five spots in US R&D funding. For the second year in a row, Amazon has taken the top spot when it comes to research and development spending in the US. The top five spots were all taken by tech companies who invested a combined total of $76bn in 2017 with Amazon spending $22.6bn on its own. This figure is 41 per cent higher than the amount the e-commerce site spent on R&D in 2016 when it also topped the list. Amazon has made significant investments in its voice assistant Alexa and other emerging technologies such as computer vision to help support its more ambitious projects such as its autonomous grocery store, Amazon Go. 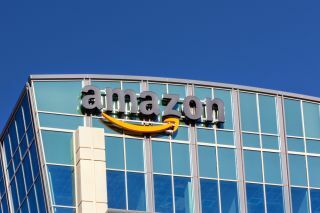 The company has also spent a great deal on AWS as it tries to secure its future as one of the world's top cloud providers. While Amazon may have been the biggest spender last year in terms of R&D, the company is followed by Alphabet, Intel, Microsoft and Apple. Facebook also managed to make its way into the top ten this year rising from 13th place in 2016 to ninth in 2017 as the social network increased its R&D spending by 32 per cent to $7.8bn. This could likely be attributed to the company's secretive hardware research lab, Building 8. Amazon's continued investment in R&D shows that the company is committed to becoming more than an online retailer as it has repeatedly gone toe to toe with Alphabet and the other tech giants in recent years.